After Launching the OPPO F9 in the country last week, OPPO Kenya has finally released and started selling the device officially today after placing it on pre -order from 10th September 2018. The OPPO F9, that sails on VOOC Flash Charge as the main key feature has raved reviews and acclaim online. Now the mobile giant is taking up a unique design with the introduction of the Water drop notch screen, customized with attractive appearance of sunlight red and twilight blue which will be distributed across the country from today. 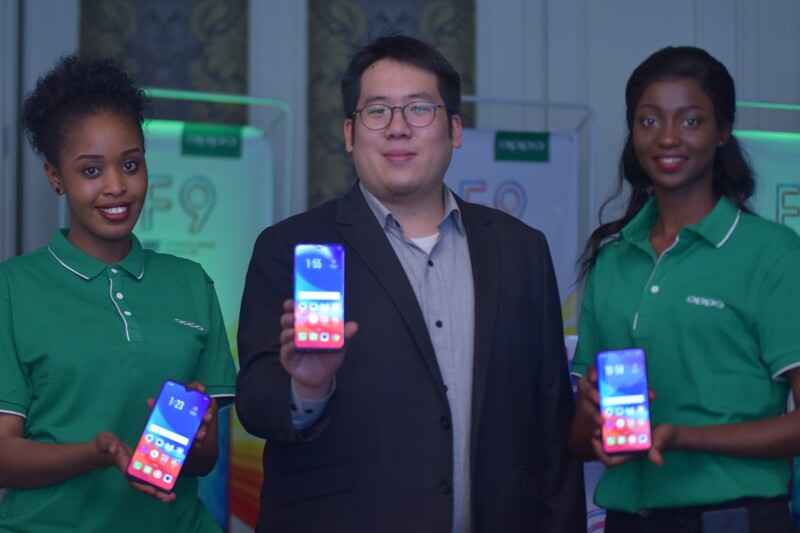 OPPO Brand director, Mr. Jesse Wu quotes that OPPO as a leading brand in the country has been recognized for its exquisite product design and state of art camera technology. OPPO has comfortably positioned itself as a force to be reckoned with, not just in terms of brand penetration and market sustenance in Kenya, but also in terms of its quality, use of high-end tech, the input of advanced features, and some of the most innovative designs in the mobile phone industry globally. And with the brand’s partnership with LIPA Later to offer OPPO devices in instalment, the brand is strategically expanding into the global mobile market.